The iPhone X bet pays off, Services and Other Products hit it big, and then there's Oprah. It’s gotten to the point where even some of my colleagues who write about Apple are bored by the company’s quarterly results. Granted, this is the good kind of boring—the best third-quarter results ever, led by overall revenue of $53.3 billion, a 17 percent growth rate. 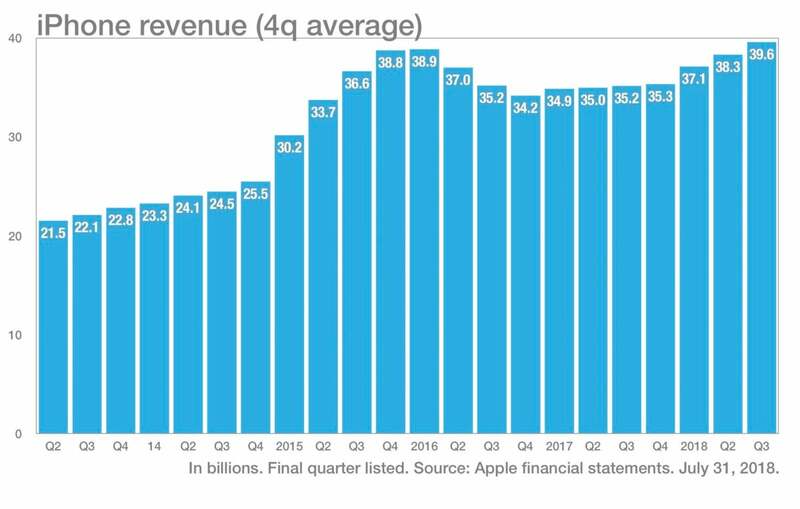 But it does seem like Apple does the same thing almost every quarter: growth, billions, the works. There’s not a lot of drama in being one of the most valuable companies in the world continuing to churn away at huge profits and product growth. Still, I’m not going to call this boring. 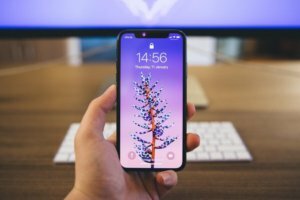 Every three months, Apple has to reveal things about itself that it would probably want to keep secret, and these disclosures can help us understand the company and its products better than we otherwise would. Here are the four most interesting things I gleaned from Tim Cook’s performance on his quarterly conference call with analysts. Releasing an ultra-high-end iPhone seemed like a pretty risky gamble with Apple’s most important product. There were questions about if it would suppress sales of lower-cost iPhones and if production difficulties would make it impossible to fulfill demand. After it shipped, people said the rumors were that it was a flop. In the aftermath of the iPhone 6 sales spike, it was fashionable to suggest that we’d seen “peak iPhone” and that the product would either be flat or would go downhill from there. Instead, two and a half years later, we’re at a new peak. Cook pointed out that the iPhone 8, iPhone 8 Plus, and iPhone X are all among the best selling phones in the world, so this isn’t a phenomenon limited to the iPhone X. But while every phone contributes to iPhone sales, it’s hard not to look at the average selling price of an iPhone—$724, up from $606 in the year-ago quarter—and see the power of the iPhone X driving the iPhone to new heights. 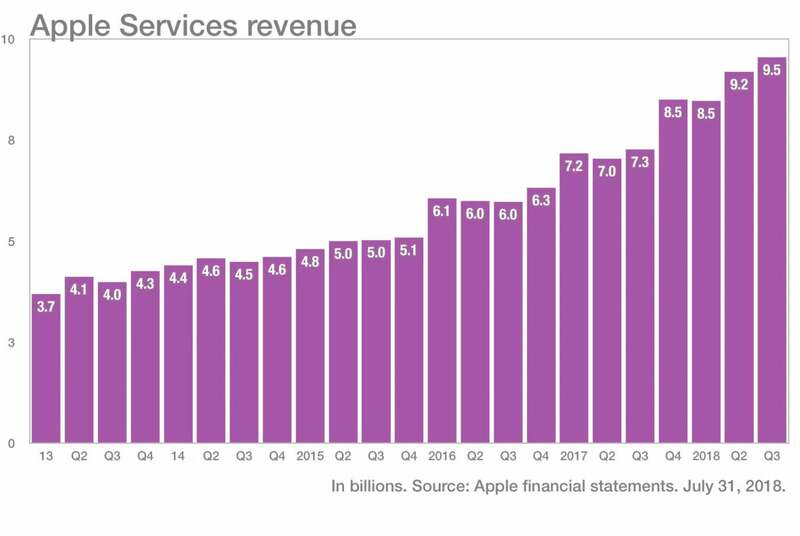 It’s never been clearer that a huge driver of Apple’s growth today is in two categories that used to be largely ignored when analyzing Apple’s business: Services and Other Products. Services, a category that includes the App Store, Apple Music, AppleCare, and cloud services, set a record with $9.5 billion in revenue, double of what it was three and a half years ago. There’s more to come there, too. 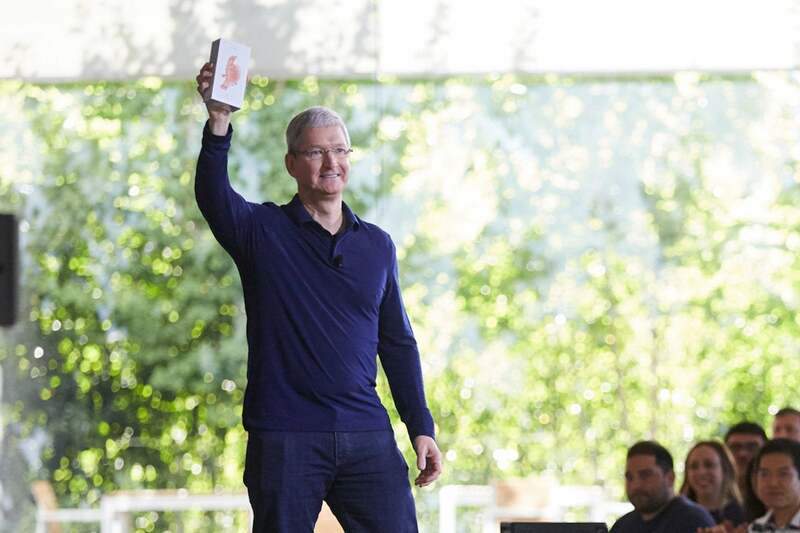 Apple is going to launch a video service at some point, and Cook didn’t pretend otherwise. “As you know we hired two highly respected television executives last year and they... have been working on a project that we’re not really ready to share all the details of it yet, but I couldn’t be more excited about what’s going on there,” he said. Cook also cited acceleration in cord-cutting and the growth of video services, which Apple can see through sales of Apple TV and of video subscriptions via the App Store. Tim Cook was recently called “tech’s top diplomat” by the New York Times, and that diplomatic touch was on display on Tuesday. When asked about possible trade wars between the U.S. and China, Cook downplayed the potential harm for Apple. Unsurprisingly, Cook—who has always expressed a bullish enthusiasm about Apple’s growth in China—said that he feels the two countries will work things out, because it’s the best result for everyone involved. The analyst of the quarter award goes to Laura Martin of Needham, who provided some snarky commentary over a Cook non-answer to one of her questions—“I’ll watch your product roadmap and be able to tell what the answer is,” she replied—and was insistent that Cook address some specifics of her other question. It was a rare moment of pushback in these calls, and her question was a good one. In short, Martin wanted Cook to settle a bet she has with some of her colleagues, which is about whether products like AirPods and the Apple Watch are “on-ramps into the Apple ecosystem”, or if the only way in is the iPhone. In other words, yes and yes. But when you’re a company having the kind of quarters that Apple keeps having, every light probably seems to be green and every thumb is probably pointing up.